20 years ago Eurostar launched the first train service to run between London and Paris beneath the English Channel. For this year’s anniversary they announced the launch of a faster service that is capable of travelling up to 200mph and for those of us that like catch up on e-mails… free Wi-Fi. 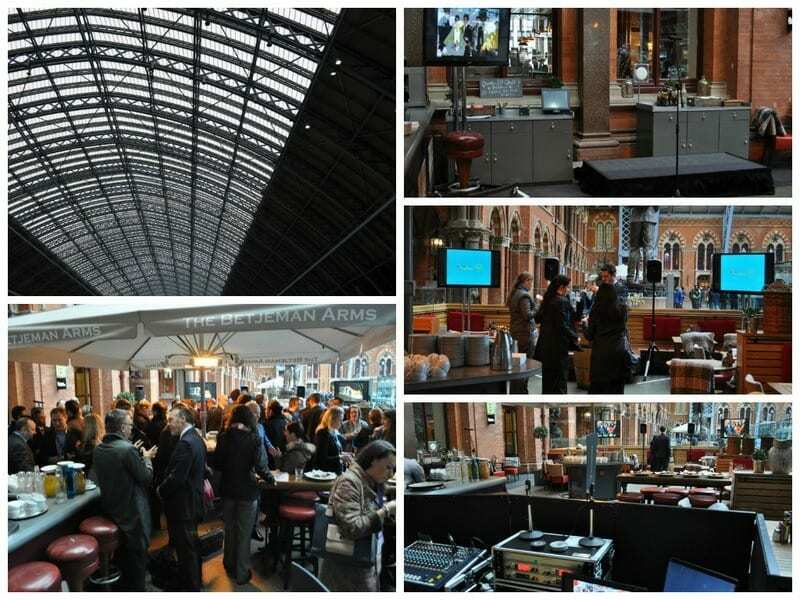 We were drafted to make sure the news hit the press event with finesse, ensuring the visual presentations and speech given by the Sales Director were delivered with the precision of a High Speed cross-Channel train. An early site-visit confirmed the scope and identified the requirements for screens, a stage and PA system. All supervised by a high level technician (thanks Dave) for 3 rounds of press announcements. We enjoyed being part of this occasion as we were brought in early to be able to advise on the best solutions considering the unique venue,St. Pancras International Station, a renowned National Heritage Site.